The CUFE IEEE Student Branch finally saw its wings open up in the open air auditorium amidst a crowd of 1500 plus students across all Civil, CSE & IT, EEE, ECE, Mechanical Engineering Departments along with I year along with Faculty members, witnessing a grand inaugural function at Christ University Faculty of Engineering, Kengeri, on the 22nd of June 2015. 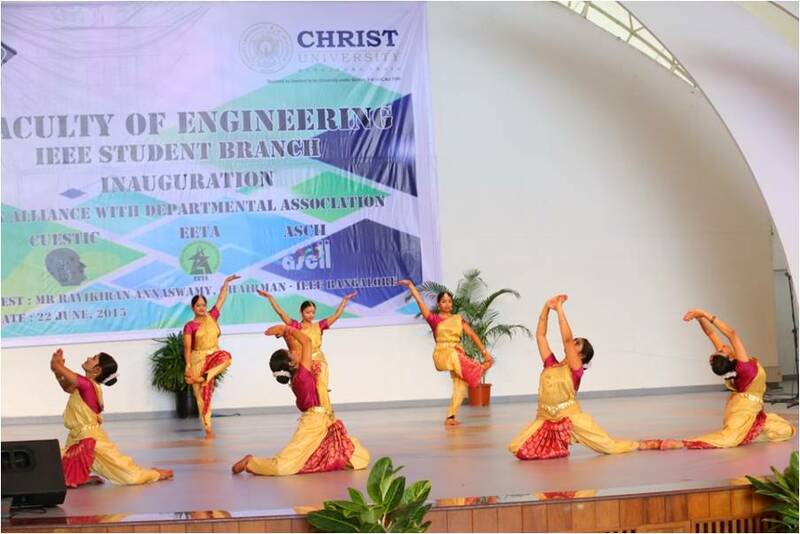 The IEEE SB was inaugurated after the hard work of nearly 8 months by the Faculty and Student Members of CUFE. 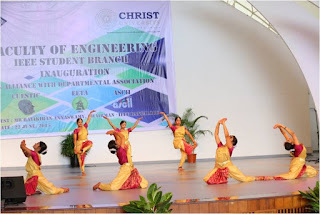 The audience were welcomed by an elegant dance performance by the CUFE Dance Team, Natyarpana which was then invocated by lighting the lamp which signifies the beginning of a new student branch in the history of CUFE. 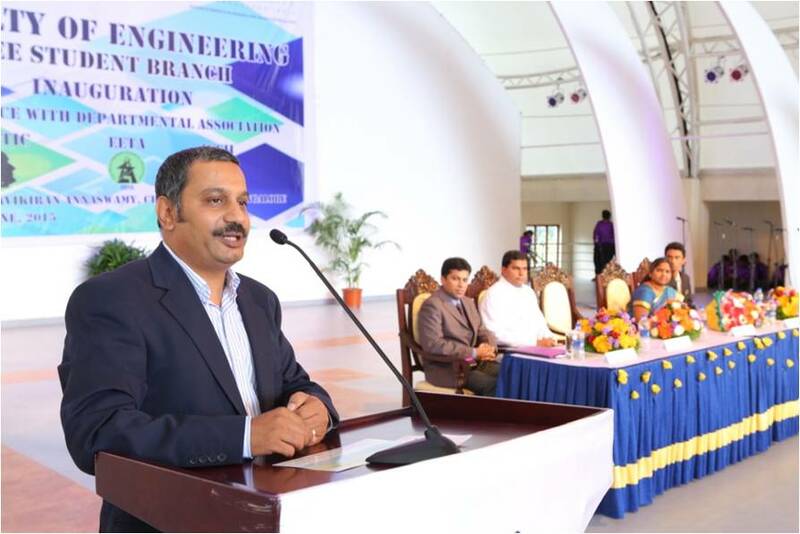 The huge gathering of around 1500 members was welcomed by Dr. Iven Jose, who talked about the painstaking journey of 8 months to establish CUFE IEEE Student Branch. He congratulated Mr. Neil Tom for his efforts in helping to organise this event and to encourage active participation from other students. 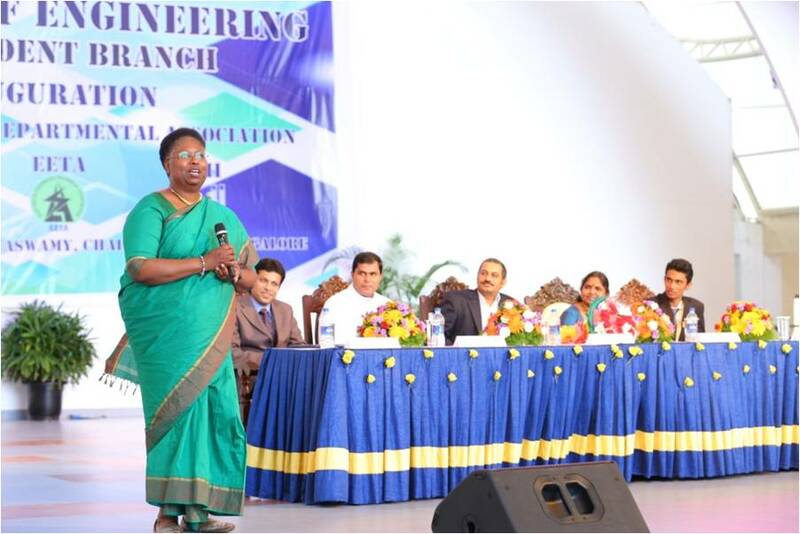 He also mentioned the untiring efforts of Dr. S.Suganthi, to have the first event of Inauguration under CUFE IEEE SB successful. Dr. Iven Jose then introduced the ChiefG, Mr. Ravikiran Annaswamy, Founder Innohabit Venture Labs, Chairman, IEEE Bangalore Section and Secretary, IEEE Region 10 (Asia-Pacific) to be a dynamic leader actively involved in the functioning of IEEE in India, especially in Bangalore. The IEEE Executive Committee that comprises of the following members with Dr.S.Suganthi as IEEE SB Counselor were inducted to their respective positions and congratulated by the Chief Guest, Mr. Ravikiran Annaswamy. 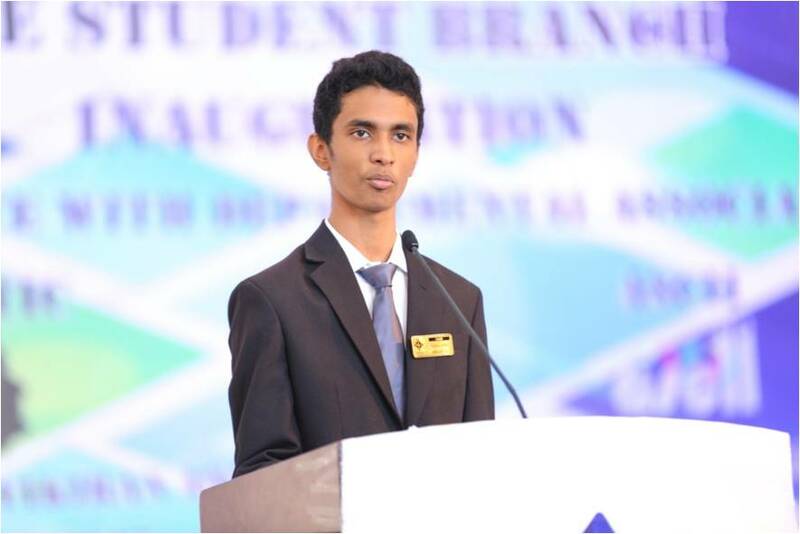 The new leader of CUFE IEEE SB, Mr. Neil Tom presented the events planned under CUFE IEEE SB for the forthcoming year, which promised a fun filled year ahead for every member and non member. The Chief Guest, Mr. Ravikiran Annaswamy congratulated the CUFE IEEE Student Branch for establishing itself in the early days of CUFE. He then detailed of what IEEE is and what it has to offer to every branch of Science and Engineering. He talked about the early days of IEEE, how it went on from the hands of Thomas Alva Edison and Alexander Graham Bell to where it stands today as the largest professional association in the world. He explained the activities of IEEE in India and particularly Bangalore. He also briefed about the upcoming activities in and around Bangalore, as well as in Region 10 of IEEE (Asia-Pacific). He explained the need of having an IEEE SB in colleges in the present scenario of changing technologies to Innovate, Network and to Learn. 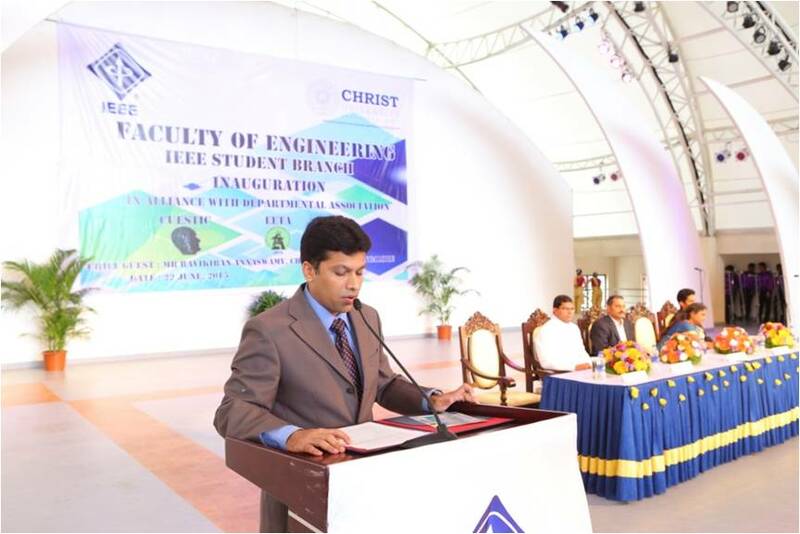 The Chief Guest was then asked to switch on the rotating logo of IEEE made by Mr. Jins and team officially declaring the CUFE IEEE SB to be functional. 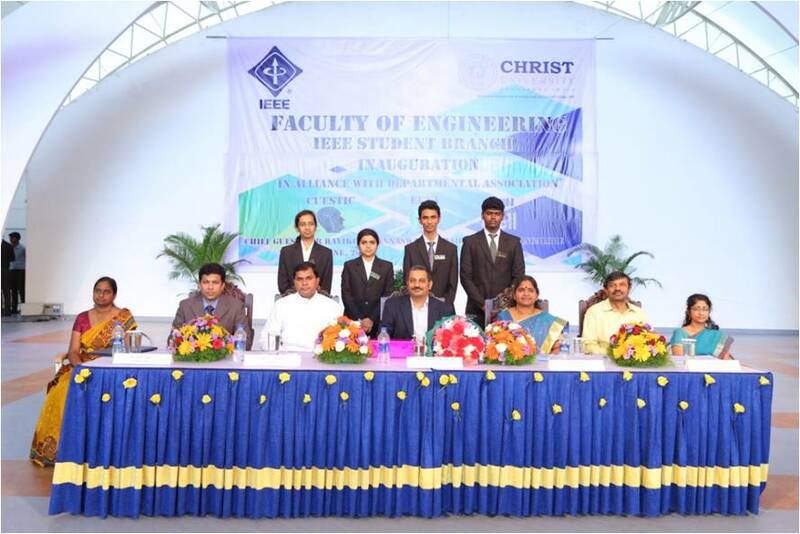 The event was graced by Father Thomas TV, Director, MBA, Christ University, Bangalore and Prof. Barbara Lyons, Professor and Chair of Philosophy and Religious Studies, University of Mount Union, Ohio University, USA and Choir Director, Christ University. Prof. Barbara enthralled the audience with her beautiful compositions, talking about how music affects our soul. Dr. S.Suganthi, CUFE IEEE SBC, proposed the vote of thanks, wherein she thanked Dr. Iven Jose and Father Benny Thomas for their invaluable support and encouragement in establishing the IEEE SB in CUFE, all the working committee members and faculties for having put in their immense effort and valuable time in organising the event. 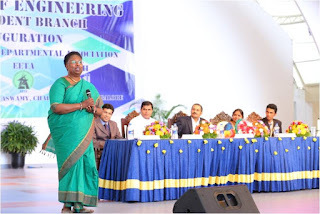 She also expressed her gratitude to Mr. Ravikiran Annaswamy for having taken time out of his busy schedule to attend the inauguration and speaking about what IEEE is all about.